Lead screw Tr8X2 with perfect precision linear motion, 2mm motion per revolution and without lead screw nut. Screw is carefully secured and marked in shipment. DRY TEFLON® GREASE. Transparent grease, resistant to dirt, designed for dry lubrication of friction points requiring slipping, exposed to soiling of oils and fats. Extremely durable in extreme conditions. LCD 2004 control panel for the RAMPS controller and other boards based on RAMPS, LCD allows you to fully control the 3D RepRap printer without having to connect to a computer. 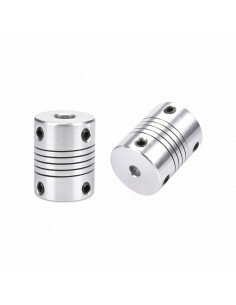 GT2 driven pulley with bearing 16 teeth, diameter 3mm. Plastic cable track chain in 3D printers, CNC machines, wires run in a chain, do not staple, do not rub. 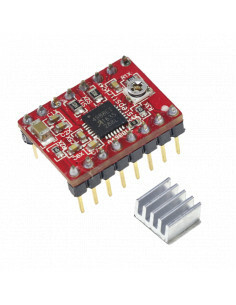 A4988 Stepper Motor Driver features adjustable current limiting, over-current and over-temperature protection, and five different microstep resolutions (down to 1/16-step). NEMA 17 stepper Motor 17HS4401 for use in 3D printer projects, as well as CNC devices and laser engraving. Work with A4988 and DRV8828 stepper driver. 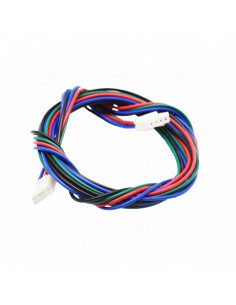 Flexible motor coupling 5x8mm made from aluminum, this flexible connector used in 3D printers, avoids stresses in the Z axis, dampens vibrations, compensates for axial and radial displacements of the connected elements. Lead screw Tr8X2 with perfect precision linear motion, 2mm motion per turn and without lead screw nut. Duet 2 Wifi is an advanced 32 bit electronics for the control of 3D printers and other CNC machines. It has the same features as the Duet 2 Ethernet. The MGN12H linear bearing with a H-trolley is a necessary improvement for the construction of Delta type printers and modernization of printers, e.g. Tevo Tarantula and Anet.